I haven't completely given up making things, but the production time now is much longer. 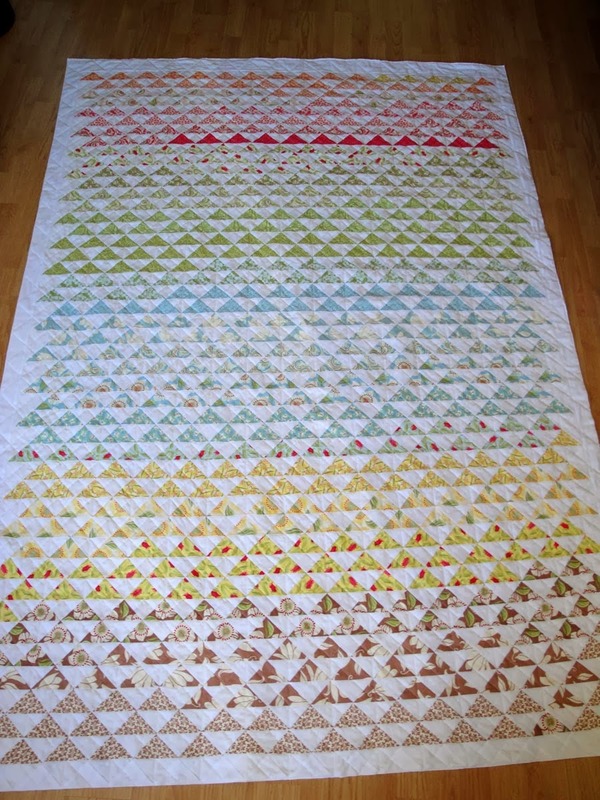 Case in point, the quilt below using Verna from Kate Spain took about a year from start to finish. It took me a long time to make all those half-square triangles. 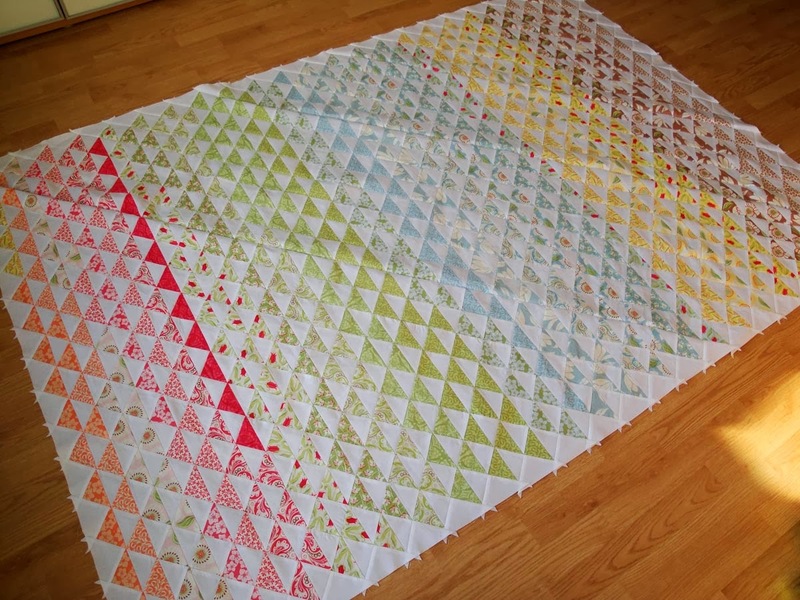 And then even longer to figure out the layout and then sew all those rows together. At first, I was marking each square with safety pins to make sure that I kept the squares in the right order as I was sewing, but that quickly became untenable. A "why didn't I think of that earlier" solution was to number the squares using one of those quilt marking pens. No pins and as simple as writing 1, 2, 3. Then, even more time to add the white sashing. 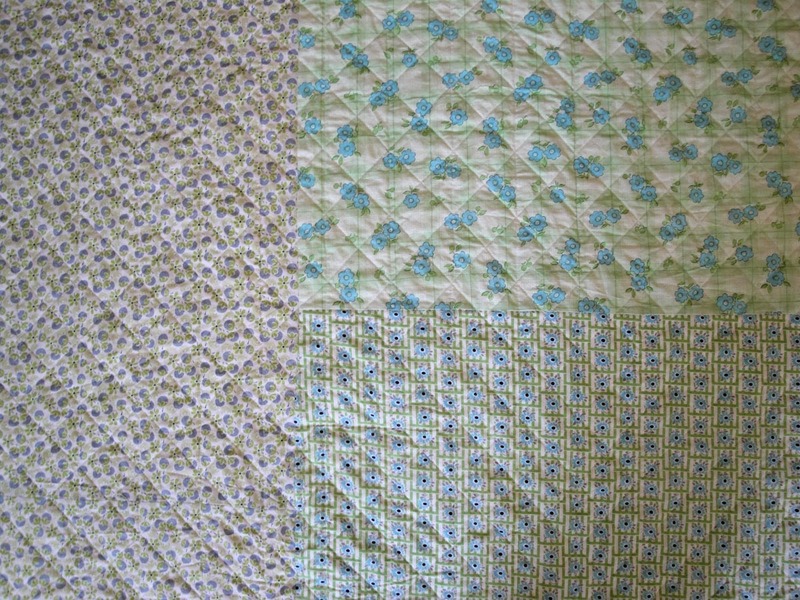 I could see the end, so the basting and quilting came together much more quickly than the piecing. Straight lines at angles to the squares. The backing was yardage from Denyse Schmidt from Joann. Perfect complement to the colors in front. 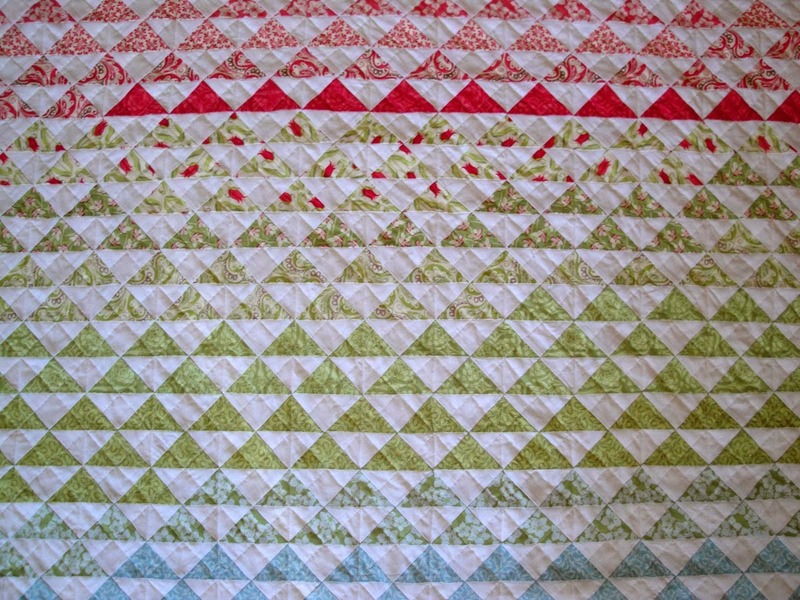 The quilt was finished in time for a Christmas gift even though originally I had intended to gift it in May.